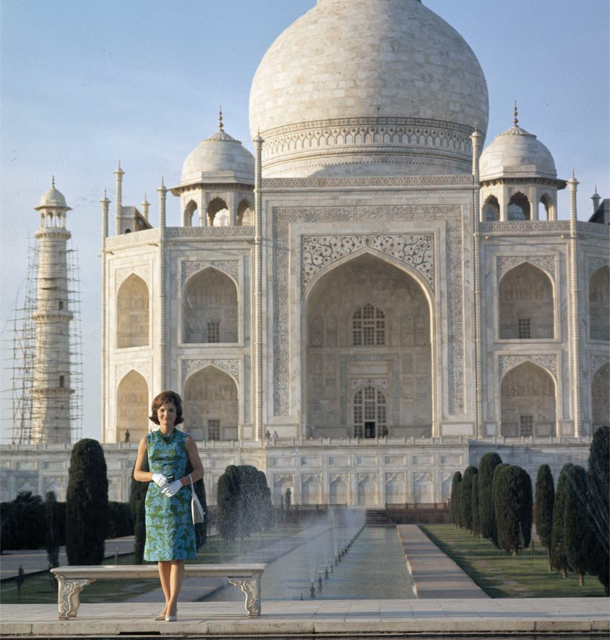 Jacqueline Kennedy poses in front of the Taj Mahal. Photo courtesy JFK Library. Hegel’s caveat “history teaches us nothing” may be relevant in cultural and philosophical realities but in the design world the statement is far from succinct. 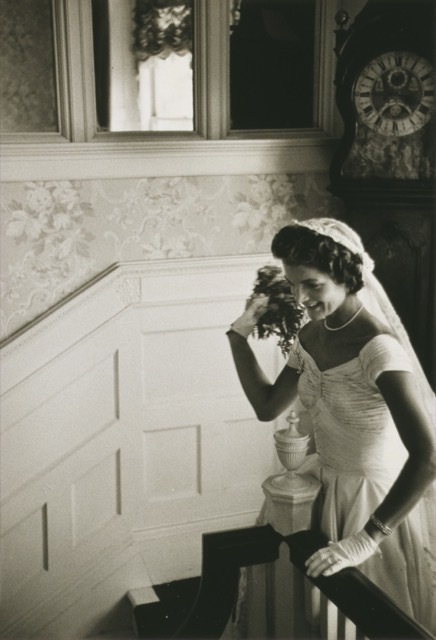 No one knew this more resolutely than Jacqueline Bouvier Kennedy Onassis, or as we have come to affectionately call her Jackie O.
Jackie readies to toss her bouquet at her wedding JFK; photograph by Toni Frissell courtesy of WikiMedia. 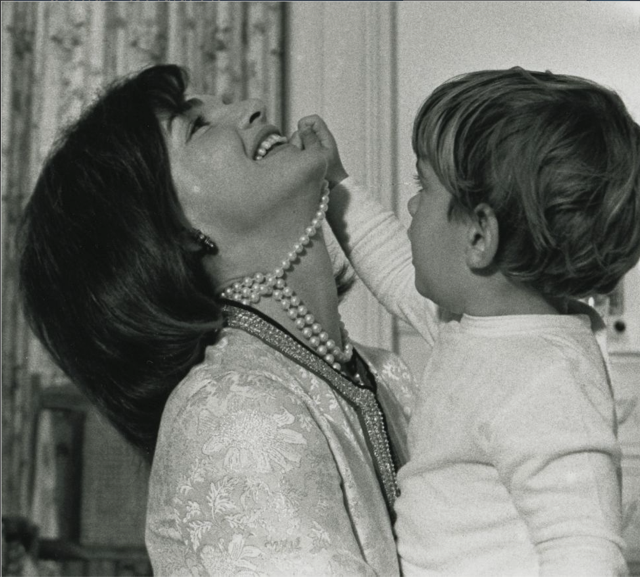 She was a style-setter in the truest sense of the word but her choices were grounded in her knowledge of history and her worldliness—classic tastes honed by parents who understood the past had a great deal to teach her and her sister, who would become the prominent socialite Lee Radziwill. They were educated at excellent schools and sent abroad on a three-month mini grand tour of Europe that included stops in Spain, London, Paris, Venice, Rome and Florence when Lee was 18 and Jackie was 22. 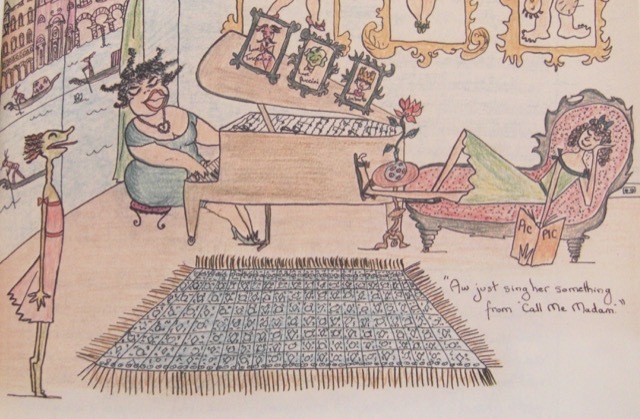 Their trip lives on because the sisters created a cheekily illustrated journal titled One Special Summer, which they presented to their parents as a thank you upon their return. 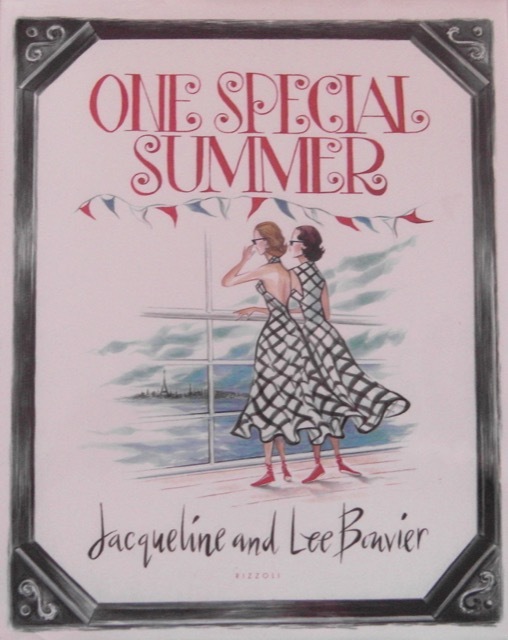 Jackie rendered the delightful drawings and wrote the poetry while Lee penned the narratives about their capers as they traveled around in a small car they bought in London solely for the trip. Jackie created this hilarious illustration to tease Lee about being pushed into singing in a parlor in Venice. Published in “One Special Summer,” it is proof of Jackie’s wit. Rizzoli published the journal as a slim, large format book in 1974, and I highly recommend it if you’d like to experience the playful personalities of these charming young women, who would both go on to become influencers in so many ways. Their fun-loving bond and the capricious nature they unleashed on a handful of cities in Europe is a wonderful respite that takes about half an hour to enjoy if you have the time to relish the fact you are seeing such a different side of these women than we know of them today. 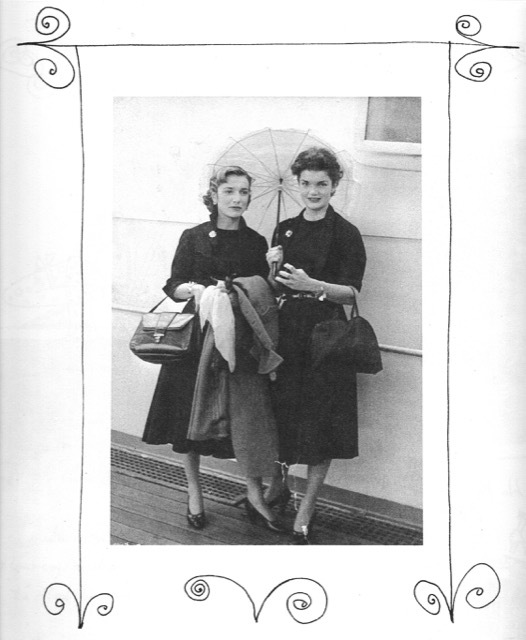 This image of the two sisters as they returned to America ends the book, the text below it reading “It’s All Over Now” with the date September 15th, 1951, noted below it. It was exactly 64 years ago today when they ended their escapade, and I am grateful to have the memento because it is a remarkable artifact of a more innocent time and a testament to good manners that sometimes seems all but gone. When Sotheby’s auctioned off her estate nearly 45 years later in April 1996, the two-inch-thick catalog, titled The Estate of Jacqueline Kennedy Onassis, notes that a number of copies of One Special Summer, being offered for sale, had been on her shelves when she died. The bound Sotheby’s inventory is more than an archive of domestic goods; it’s a narrative honoring a worldly and beautiful woman. Figure 1 of the “Study for the White House Portrait of Jacqueline Kennedy” by Aaron Shikler is dated 1969 and copyrighted by the White House Historical Association. The cover of the book, “In the Russian Style,” which Jackie edited. 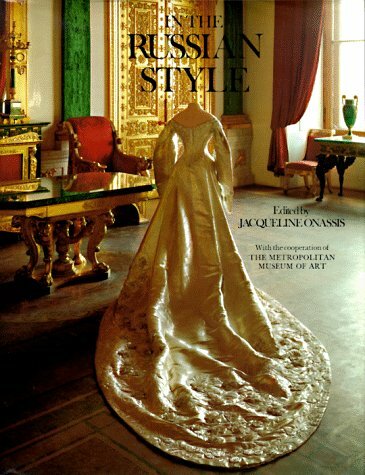 Jackie’s fascination with the past even showed in the design books she edited, one of her most respected titled In the Russian Style, a backward glance at the great rulers of the country through their fashions, the things they treasured, and their design legacies. It was published in collaboration with The Metropolitan Museum of Art, and it includes pageantry ensembles, interiors of cloyingly ornate royal palaces and art owned by the monarchs reaching as far back as Peter I and ending with the reign of Alexander III. 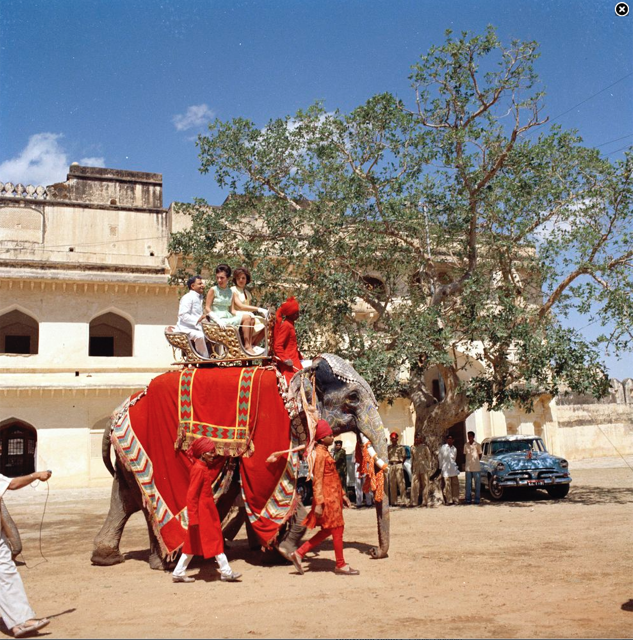 A bit disappointingly, most of the images are in black and white, but the fascinating survey of the wealth and customs of the rulers of a land that remains enigmatic to this day is far from a letdown. 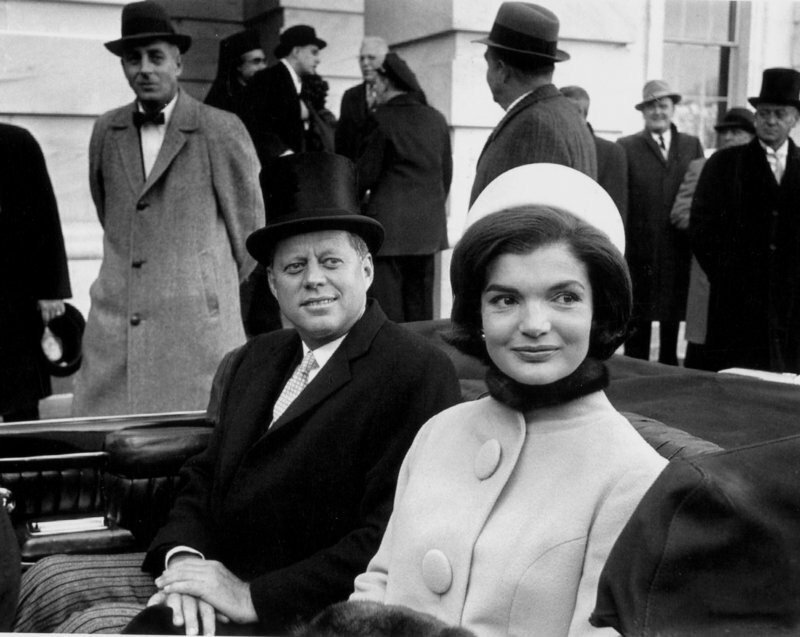 Jackie O’s Inaugural Day Pillbox Hat set the tone for the fashion-forward First Lady. It was Jackie’s wardrobe that gave us the first indication she would be a tour-de-force for bringing classicism to America—her ensembles for the inaugural festivities setting the tone for a fascination we would develop for our young First Lady’s taste in clothes early on (who can forget that oversized pillbox hat?) . But it would be her devotion to timeless interior elements that would turn out to be the most enduring proof. 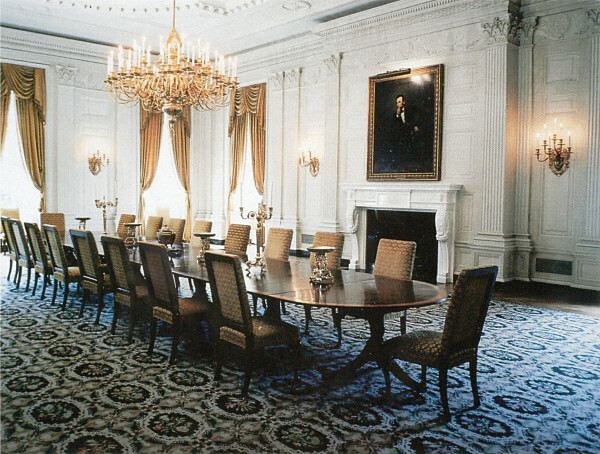 Her determination to champion traditional design initially revealed itself in her restoration of portions of the White House, which she proudly debuted during her renowned televised tour that aired on CBS in the spring of 1962 (above). While over 46-million viewers watched, she spoke demurely about what had been achieved, afterwards expressing happiness that things the press had identified about her as liabilities (that she spoke French, that her hair was not au courant, that she didn’t adore campaigning, and that she didn’t bake bread “with flour up my arms”) were suddenly seen as a positive. 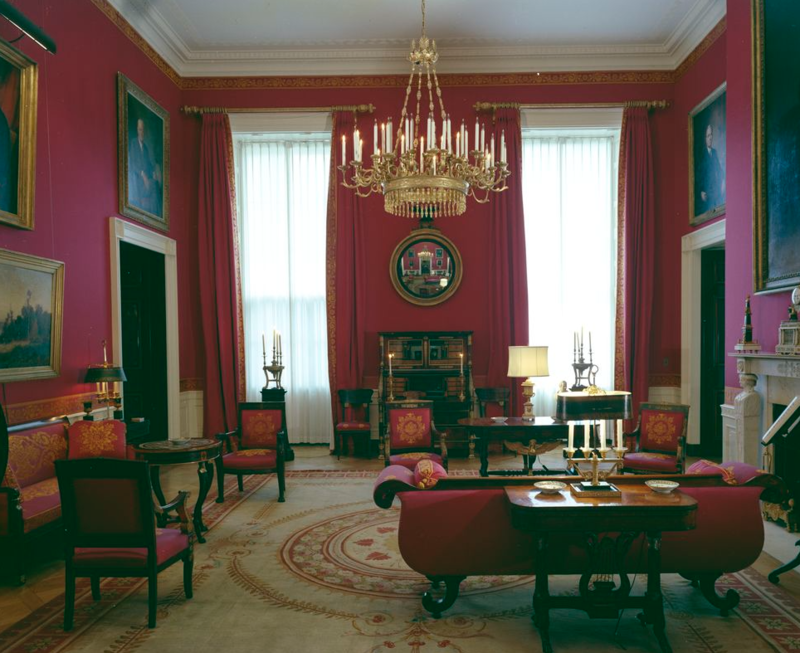 The Red Room and State Dining Room (above and below) are examples of the excellence she achieved with the help of a handful of talented advisors that included Washington DC insiders and Winterthur’s Henry Francis du Pont. 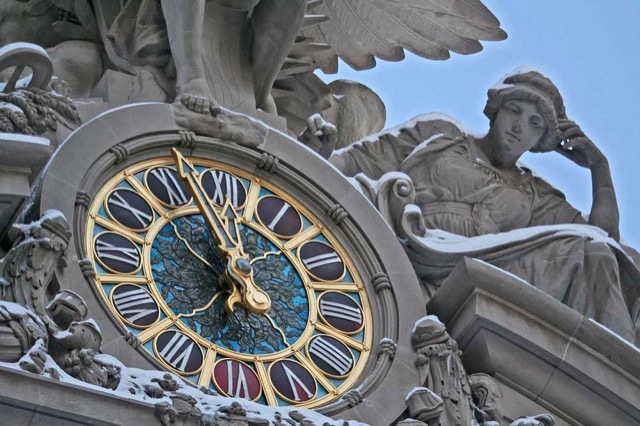 Later in life, it would be her advocacy in saving Grand Central Terminal (GCT) that added a gem to her preservationist legacy. Both efforts show her regard for historic design and her passion for our country’s architectural treasures. The Jackie Kennedy Onassis Foyer at Grand Central Terminal, a tribute to her determination to preserve and restore the architectural gem. Image © Saxon Henry. 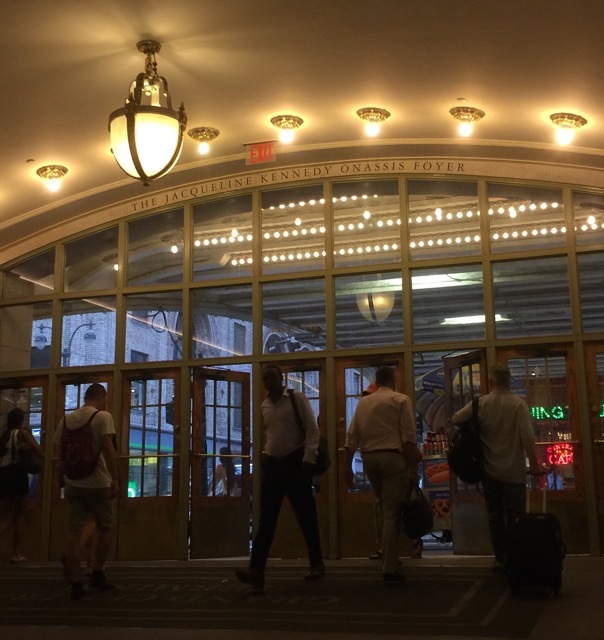 Last year, the main entrance to GCT was dedicated as the “Jacqueline Kennedy Onassis Foyer” in honor of her work to help the New York City Landmarks Preservation Commission save and restore the transit hub. I took the time to stand in the graceful entryway not long ago and it is such a fitting a tribute to her, down to the video looping continuously on the west wall with snapshots of her life and her efforts (not that NYC commuters rushing through the arched foyer paid any notice!). This devotion to tradition was not merely a public persona. 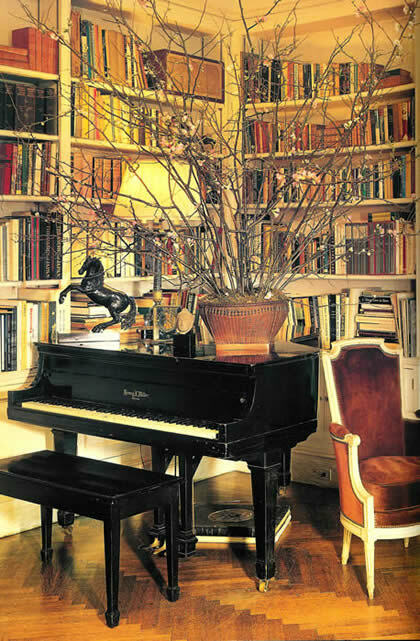 As the Sotheby’s catalog illustrates, she lived surrounded by classic style. Flipping through it is like being granted entrée to the life of a well-traveled sophisticate. 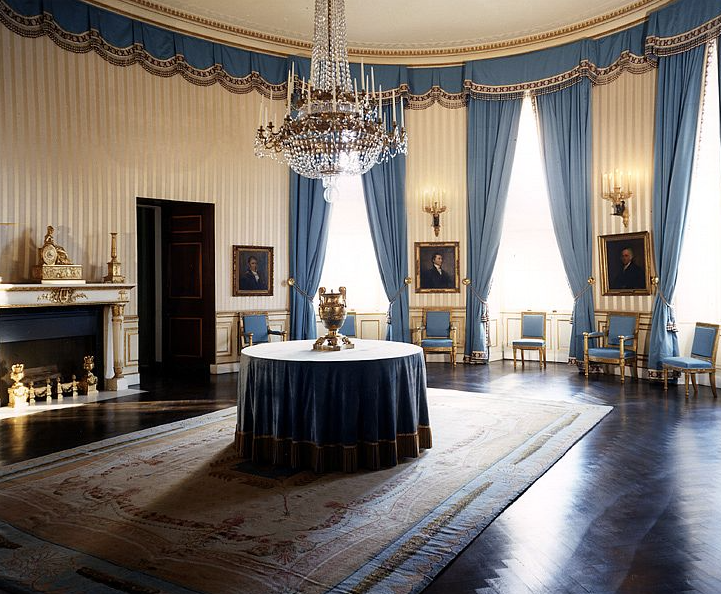 There is Tiffany silver and Ormolu accessories, Italian cast bronze sculpture, gilded and ebonized furniture. Chinoiserie proliferated in her art and accessories. 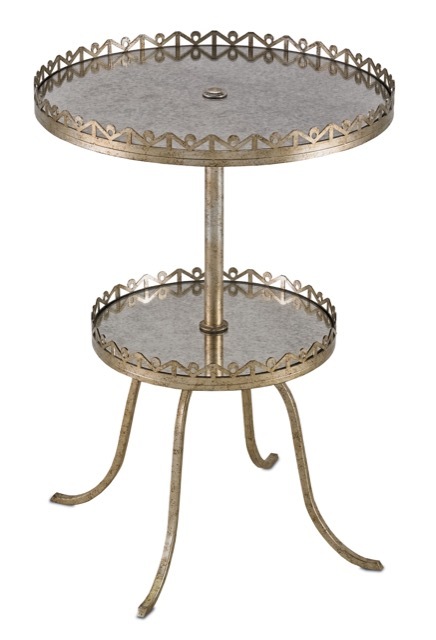 Antiques were plentiful, including Rococo, Biedermeier and Neoclassical treasures. 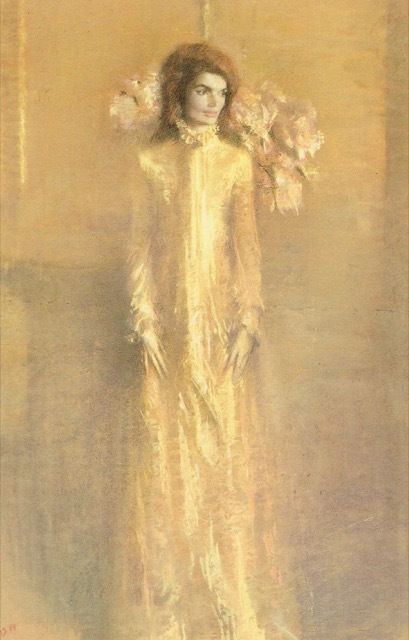 Her art collection included French School watercolor portraiture; Neapolitan School scenic watercolors; Dutch oil paintings; French School gouaches of architecture studies, which hung in the foyer of her Fifth Avenue apartment; and marble sculptures, many of them depicting mythological figures, dating from the 4th-century BC to the 3rd-century AD. 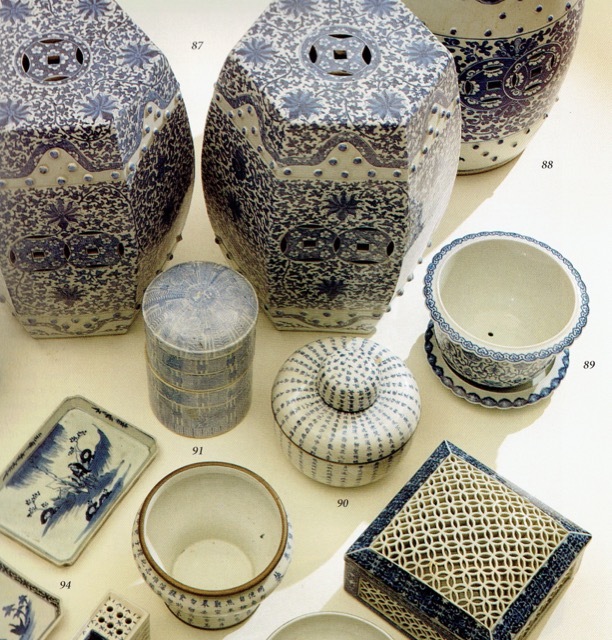 Jackie’s Chinoiserie was auctioned off during the Sotheby’s sale. Francophilia figured strongly with decorative items from a number of eras, including Louis XV, Louis XVI, Louis-Philippe, Regency and the Empire; and she owned numerous books about Versailles and the French decorative arts. These facts are no surprise considering French was one of her majors. She was fond of pencil on paper by British artists and her books encompassed nearly all the cultures of the globe. 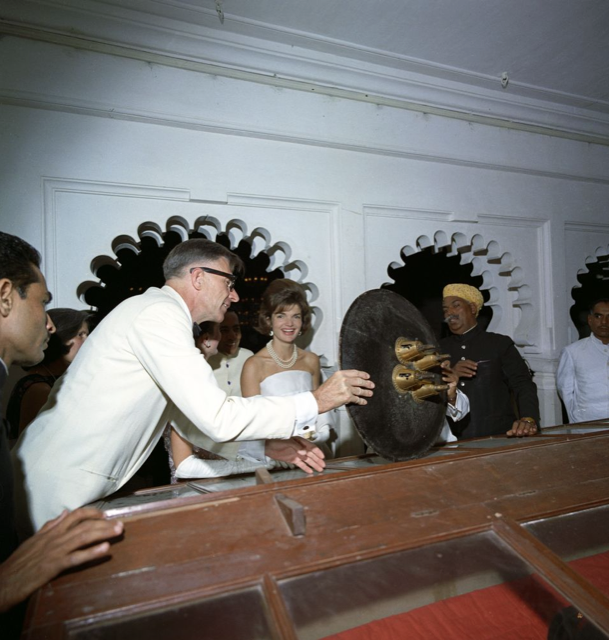 Russia, Italy, France, and India figured strongly on her bookshelves, titles like A History of Indian Dress likely inspired by her trip to the country as First Lady. I was eager to learn what serious literature she had on her bookshelves to see if they shed light on her as a reader. Standouts included poetry by Edith Sitwell and Robert Lowell, a copy of Courtiers of Henry VIII signed by the author David Matthew, an autographed copy of Truman Capote’s selected writings, Cervantes’ Don Quixote, three volumes of Memoirs of Napoleon Bonaparte by Richard Bentley, Tennessee Williams’ Summer and Smoke, The Hemingway Reader, and the plays of Shakespeare from her school days. Her books also attested to an avid interest in historic design and garden literature, perhaps a harbinger of her involvement in restoring the White House. You may be wondering what inspired me to delve into her take on history as thoroughly as I have. I blame it on a visit to Currey & Company’s Atlanta headquarters last month, which makes the title of this post (One Special Summer) doubly apropos! 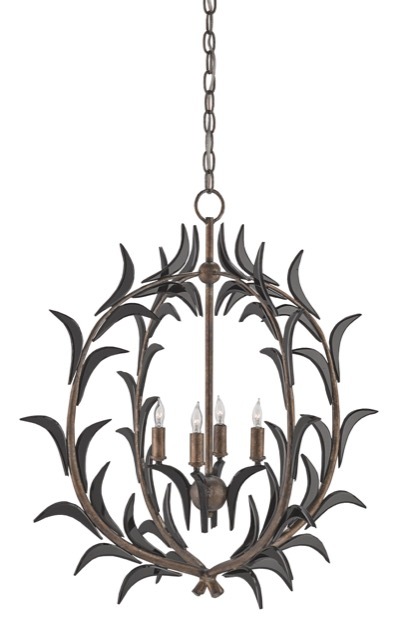 I was given a sneak peek at their fall releases and as Cecil Adams uncovered one gorgeous furnishing after another, I noticed, once again, how historic design underpins all of their offerings. Even their contemporary pieces have provenance in some form or fashion. 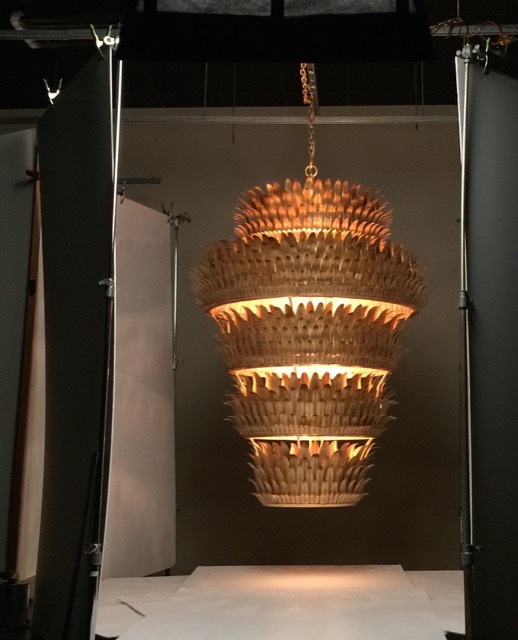 The Havana Grande chandelier was being photographed during my visit to Currey and Company. 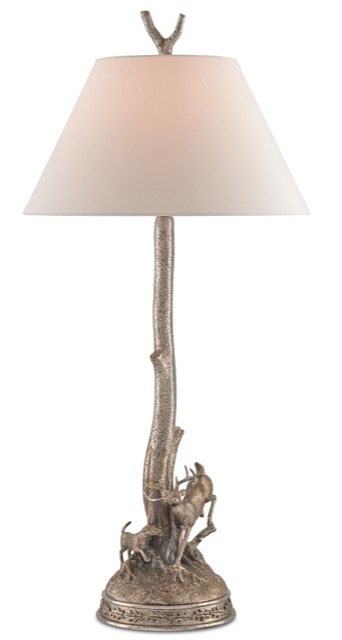 The wrought iron stunner in contemporary gold leaf pays homage to the plant world and old Havana. 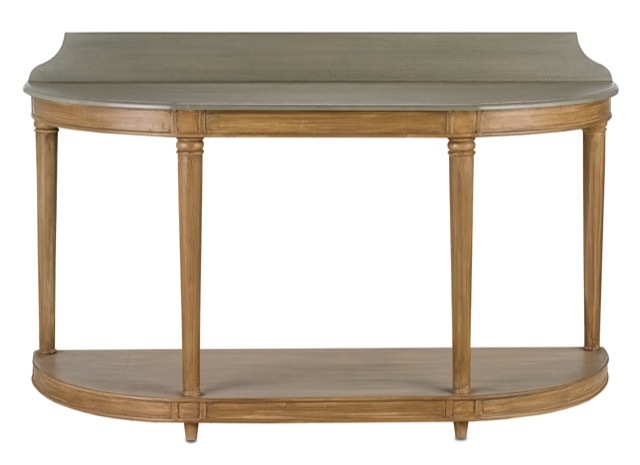 I thought I’d give you a taste of the classicism represented within the new releases, and to stay true to the narrative, I’ve chosen pieces that I believe would resonate with a polished person on par with Jackie O furnishing a Fifth Avenue apartment today. To accompany the visual beauty, I asked Brownlee Currey, the company’s President; and Bob Ulrich, Vice President of Sales and Marketing, to share their thoughts about the creative vibrancy for which Currey & Company is applauded. 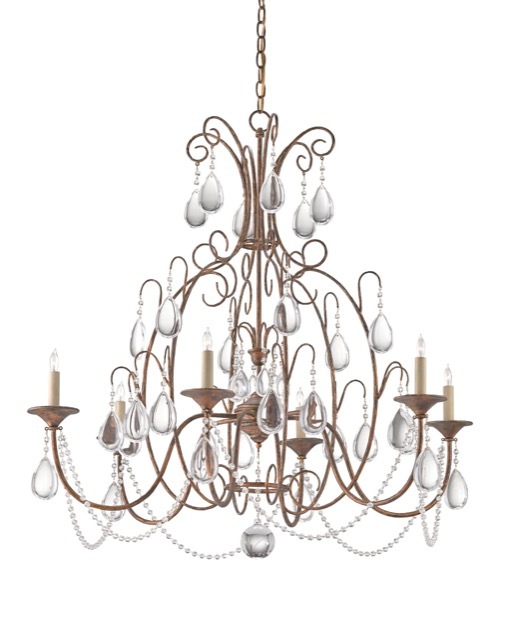 The Cinderella chandelier, pretty as the fairy tale princess in her ball gown, is made of crystal and wrought iron finished in Nero Oro Antico. Brownlee addressed the historical aspects of their point of view, telling me, “The company is deeply rooted in historical furnishings. In fact, our very first products were accurate reproductions of classic garden benches from the Winterthur estate. One might say that our very origins were looking at older things. Since Bob’s point of view has been honed interacting with the company’s loyal buyers, I asked him to tell me how he thinks the design team continues to create notable furnishings that set the bar so high. 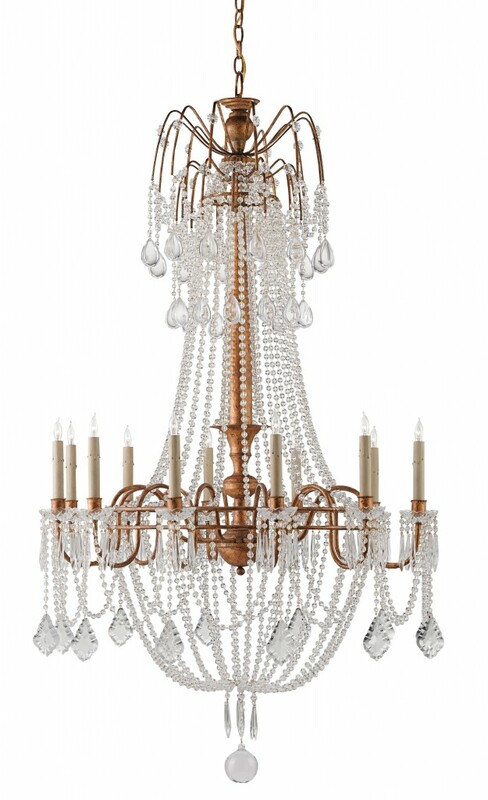 Distinctive is certainly a word that resonates for me when I think of Currey & Company’s products and when I remember Jacqueline Kennedy Onassis. She knew the value of celebrating what had been—down to her designation of her time in the White House, a historical reference we use to this day. It was during an interview for Life magazine on November 29, 1963—a week after her husband had been assassinated—when she told the journalist Theodore H. White that JFK’s presidency was “one brief shining moment that was known as Camelot.” Looking back from this distance, it feels “one brief shining moment” is an apt description of her graceful life. She’s simply one of those dynamic women I wish could have lived on forever, providing a sophisticated beacon for those of us who follow. 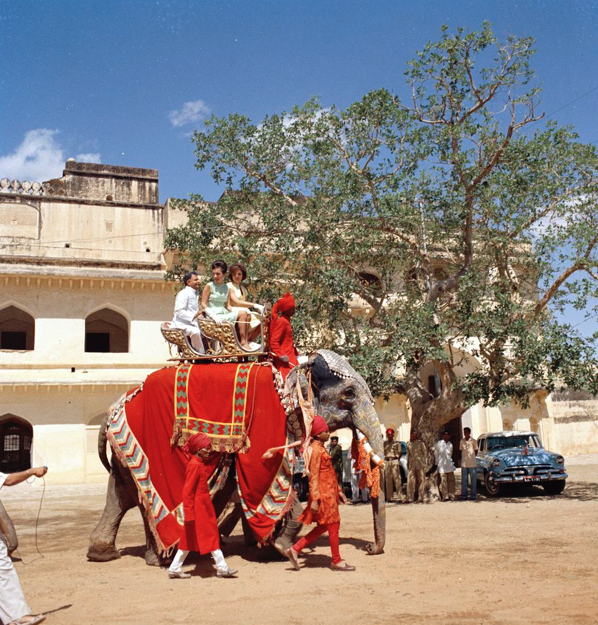 In her last will and testament, Jackie bequeathed to Rachel (Bunny) Mellon two Indian miniatures—Lovers Watching Rain Clouds and Gardens of the Palace of Rajh—in appreciation of her designing the Rose Garden at the White House. So many years later and after such a multifaceted life that could have made such an early collaboration irrelevant to many people, she honored a contribution to our cultural milieu with soulful recognition—a move that illustrates how she was style personified to her very last earthly acts. The Modern Salonnière and One Special Summer with Jackie O © Saxon Henry, all rights reserved. Saxon is an author, poet and strategist whose books include Anywhere But Here, Stranded on the Road to Promise and Four Florida Moderns. You’re most welcome, Bethanne; love these new classic introductions for fall 2015. 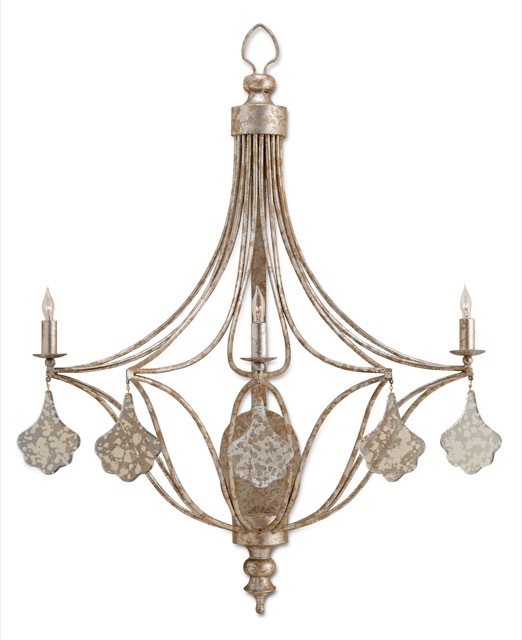 Can’t wait to see them in person in the amazing Currey & Company showrooms settings in the coming months! Safe travels to NYC! Thank you so much for the lovely article. Such a nice inclusion for Currey and Company. And what else can you say about Jackie O! I’m so happy you stopped in to read and comment, Robert; and since I went on quite effusively about Jackie, I don’t believe I left much unsaid. 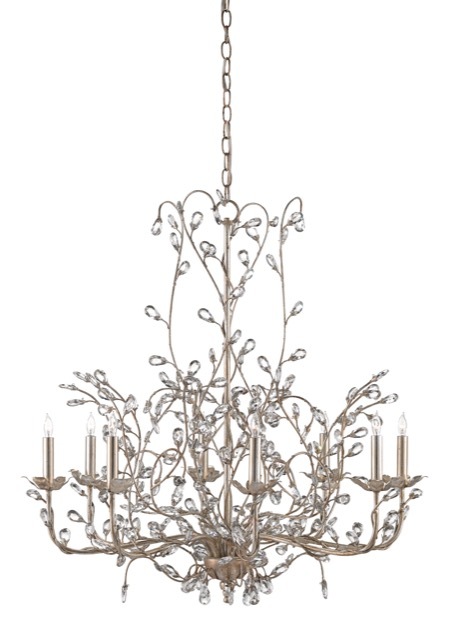 I have to say having Currey and Company as my muse is turning out to be more fun than one girl should have talking about furniture and lighting (but I’ll take it any day)! I hope you have a wonderful week.